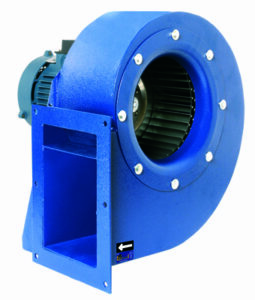 Industrial fans are used across a whole host of machinery in food processing. Stainless steel varieties are favoured due to their hygienic and easy to clean material composition. Special coatings for perfect cleaning may also be requested where required. Each application will have its own set of specifications in the design of the full manufacturing system. Through our relationship with supplier partner Casals and Rosenberg, our range of industrial fans are suitable for a large number of processes within food and process manufacturing. Among many other materials, flour and starch are a combustable material. Therefore industrial fans such as the Rosenberg EHND & EHNE range can be used in this type of food processing. For material handling, the Casals MB range and our ATEX compliant lines can handle material and reduce the risk of explosive atmospheres. Within many manufacturing units a pneumatic conveyor utilising a stream of clean air, is used to transport raw materials such as grains, sugar, flour and granular materials. In addition, storage areas require humidity and temperature control and at the end of the production line, a high pressure fan acting as a vacuum for the packaging may also be required. Used to reduce the water volume within some food in addition to facilitating the drying of washed fruits and vegetables industrial fans such as the ER or EQ range of cased axial fans make a significant contribution. The dehydration of certain fruits, vegetables and meats is also often used to ensure widespread products and to prevent the growth of bacteria. 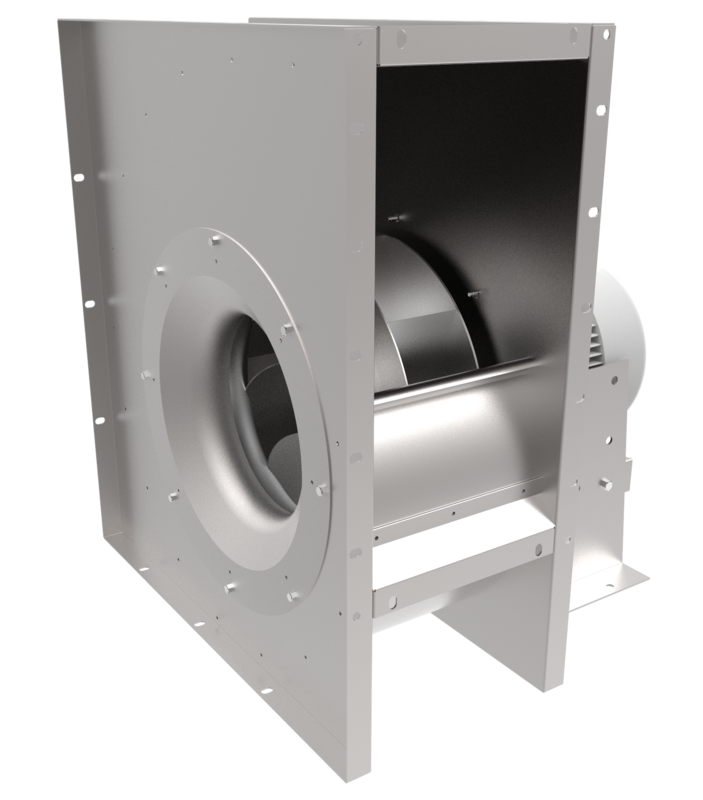 Applied directly over ovens and furnaces within industrial food processing, this is one of the most common areas for the use of industrial fans in food processing. Within this application, the presence of gas or hazardous elements will dictate whether the fan should comply to ATEX regulations to avoid explosive atmospheres. 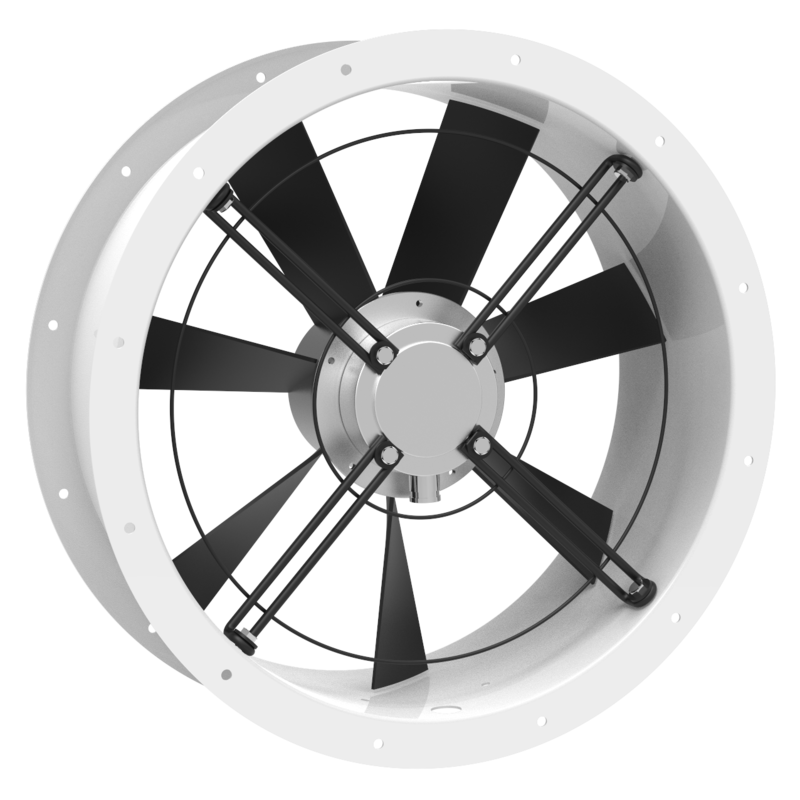 Industrial fans suitable include the ANDB range of cased axial fans or the range of centrifugals if high pressure is required. Industrial fans are used for cooling recently cooked food lines on conveyors and for food storage in industrial refrigeration plants. To optimise the process of cold storage the temperature and humidity level of each point within the room must be maintained to a uniform level. 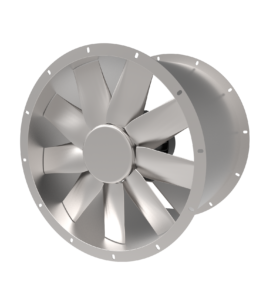 Medium to high pressure centrifugal fans such as the Casals MB range can be used with a featured air knife. Like many industries, the food processing industry involves a huge array of processes connected to the final end product. Taking a raw material to a finished product ready to be shipped to the warehouse is the most important aspect of the manufacturing process. This means that the highest standards of food hygiene must be adopted. The components within the manufacturing equipment are not to be overlooked. Without this significant machinery, the food processing industry would not be as efficient as it is now. To discuss how we can select the right fan for your food processing application contact us on 01782 349 430 or email us here.